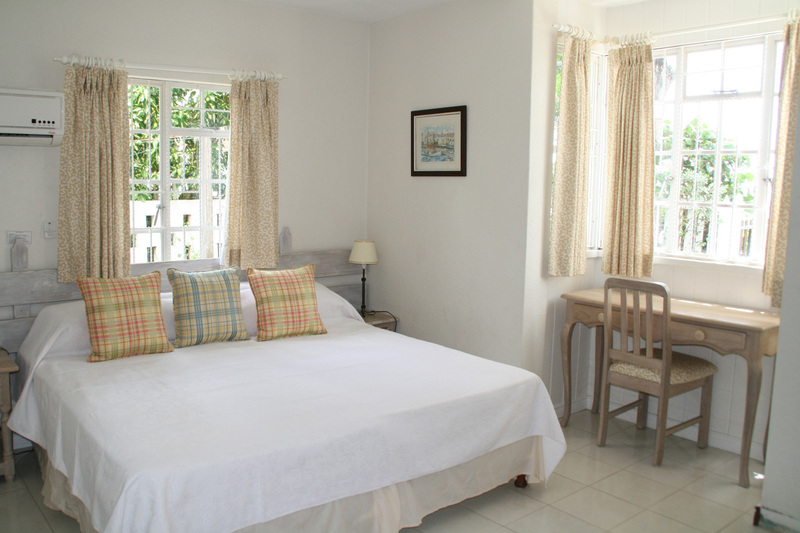 The lower apartment comfortably sleeps up to 8 persons, in accommodation that comprises of 4 double bedrooms with air conditioning. The master bedroom is en suite and there are 2 further bath/shower rooms. The large covered patio leading to the garden is a delightful, airy living and dining area for both daytime and evenings. Click here for more photos! 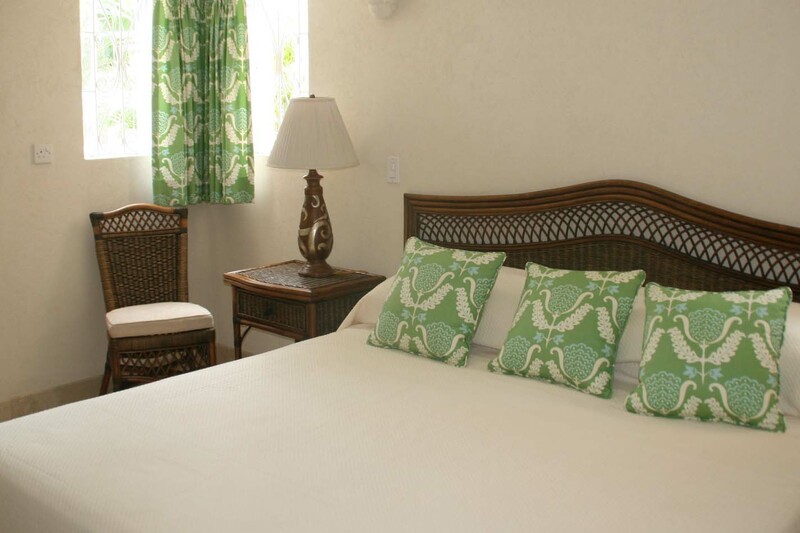 The upper apartment sleeps up to 4 persons with 2 double en suite bedrooms with air conditioning. The large dining room and lounge is a perfect indoor relaxing retreat. The covered outdoor balcony, with a dining area plus a sofa and chairs, has superb sea views. Click here for more photos! 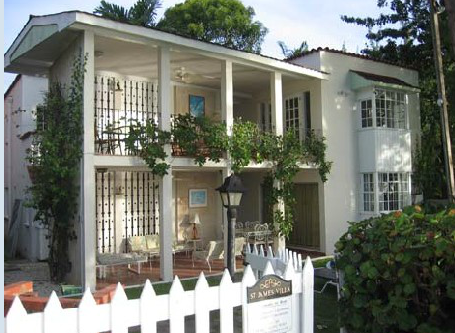 The garden leads to 2 private sun decks right on the water's edge; a perfect setting for watching the sunset. 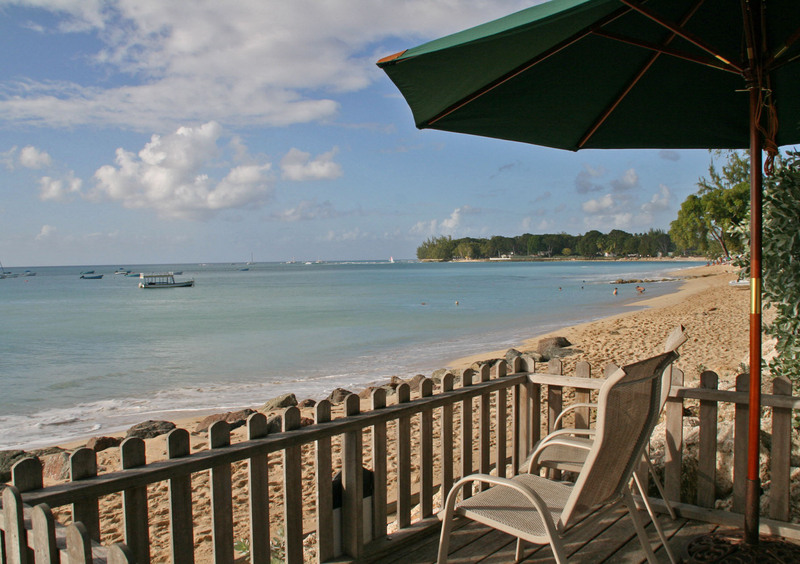 Holetown beach is accessible direct from the beach decks. Each villa has a large fully equipped kitchen with a dishwasher, cooker, hob, microwave, fridgefreezer, crockery and utensils, plus a laundry room with a washing machine and iron. A housekeeper service is included and this includes general cleaning, making the beds and laundering of the bedding and towels. Babysitting services and a cook can also be provided for a fee. A cot and highchair are available on request.